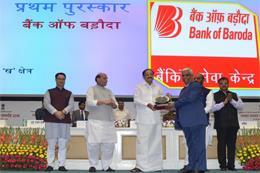 in the Indian banking industry. 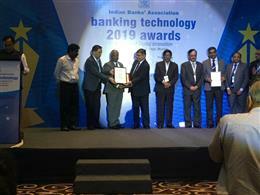 Bank of Baroda bags an award “Winner for the Most Customer Centric Bank Using Technology” at the IBA Banking Technology 2019 Awards Function, held at St. Reges, Mumbai. 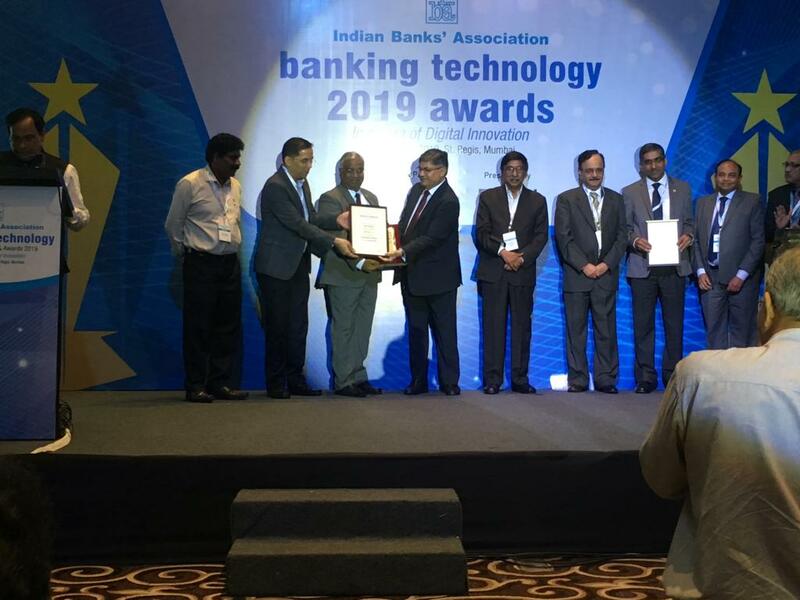 Bank of Baroda received Runners Up award for “Best Payment Initiatives”, at the IBA Banking Technology 2019 Awards Function, held at St. Reges, Mumbai. 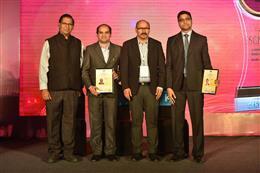 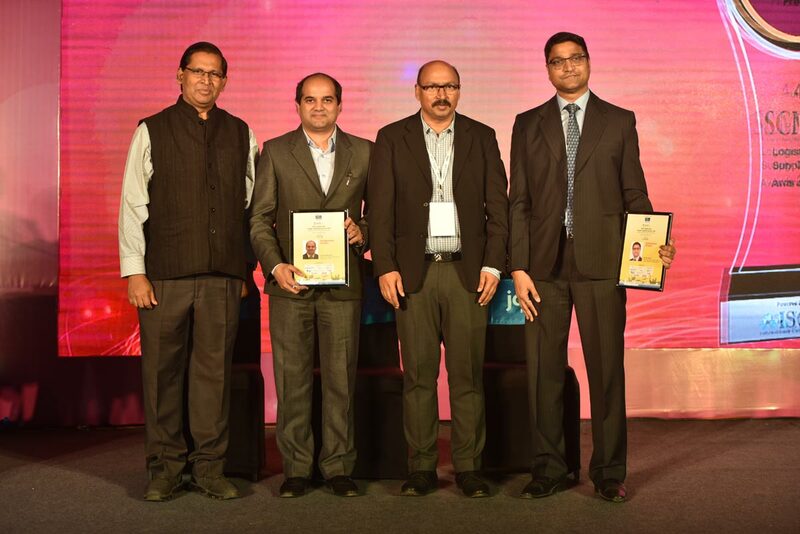 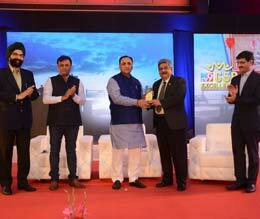 Shri Rajiv Kumar, Secretary, Department of Financial Services, in the presence of Shri Hemant G. Contractor, Chairman, PFRDA and Shri Supratim Bandopadhyay, WTM (Finance), PFRDA, presented the award for “Leadership Capital” to Shri G.B. 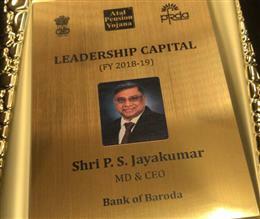 Panda, General Manager (Govt Relationship) Bank of Baroda on behalf of Shri P.S. 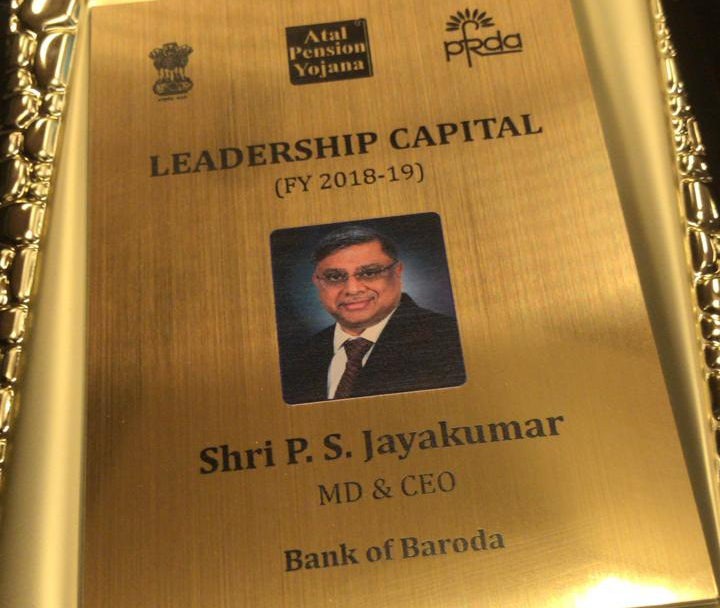 Jayakumar, MD & CEO, Bank of Baroda. 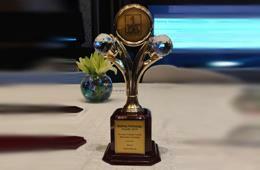 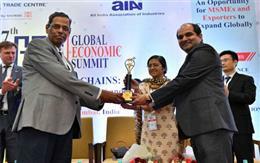 Bank of Baroda has been awarded and honoured as the ‘Best Bank in Supply Chain Finance’ by The Institute of Supply Chain Management. Bank of Baroda is proud to receive the appreciation and honor from World Trade Center, Mumbai for the Best Digitized Supply Chain Finance platform to help MSME at the 7th Global Economics Summit 2018.